How To Backup/Restore Your Website From cPanel? cPanel provides you powerful website backup and restore options with which you can backup your complete website, get backup notifications and then easily restore your website whenever needed. There are two backup options in cPanel: Full Backup and Partial Backup. How To Start Your Mediawiki Website Using cPanel? MediaWiki is a free software written in PHP. It is now the most popular wiki application used by some well known wiki websites. The cPanel of SANGKRIT.net hosting allows you to install this useful software on your domain, subdomain or subdirectory in a click. It takes less then a minute to put your Mediawiki website online. How To Create FTP Accounts From cPanel Hosting? FTP (File Transfer Protocol) is useful for backing up and updating your website. Using an FTP client you can quickly transfer files and directories between your local hard disk to your website directory. But before using an FTP program, you must set up your domain to accept file transfer protocol. How To Install WordPress Multisite Network In One Click? Unlike to other one click WordPress installations apps, SANGKRIT.net allows you to install WordPress with multisite support in one click and all it takes is less than a minute. Sometime back we have discussed about installing WordPress in one click, now this video tutorial shows how you can install WordPress with multisite network support in one simple click. 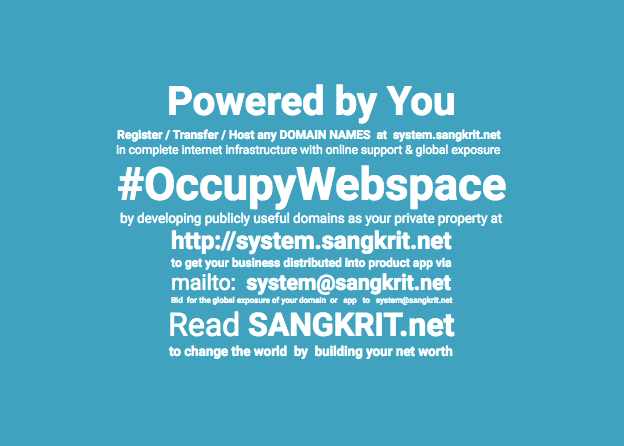 How To Create Your First Website With SANGKRIT.net? Creating a website is easy on SANGKRIT.net. It provides you various website designing tools you may use for creating your dream website yourself or get it made by a team of programmers at reasonable rates. SANGKRIT.net makes it possible for you to design your dream website on your own even if you don’t know a bit about coding and designing etc. So before to start building your website, first thing you need to do is create your free account here. Then your second step depends on what do you want your website to do?